Embossed gold heart decorative seals. These seals have adhesive backings for a quick and easy application and no mess! 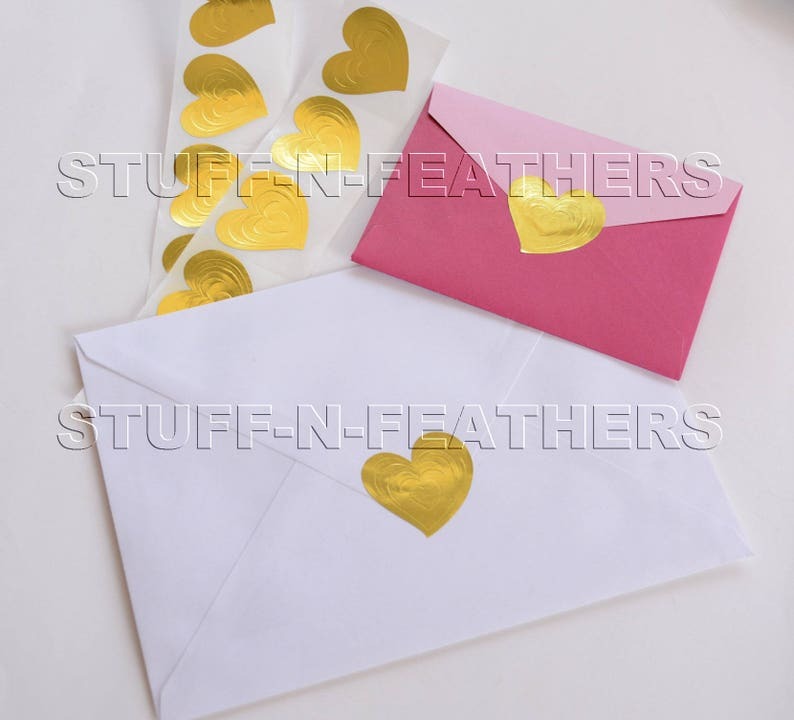 These heart shape seals have beautiful design that gives them very rich looking texture and they are great way to showcase your gifts, products, embellish envelopes for special occasions, scrapbook embellishments and much more. ►Quantity: Choice of 10, 50 or 100 pieces/stickers. For more than a 100 stickers please choose multiple quantities of 100/50/10. Love these seals. I've purchased several items from Stuffnfeathers and they always arrive quickly and they are always exactly what was described. Thank you so much! !